Colors of the Sun and Moon, a multilingual children's book by Talia Aikens-Nuñez, is currently on tour with I Am A Reader. The tour stops here today for my review, an excerpt, and a giveaway. Please be sure to visit the other tour stops as well. 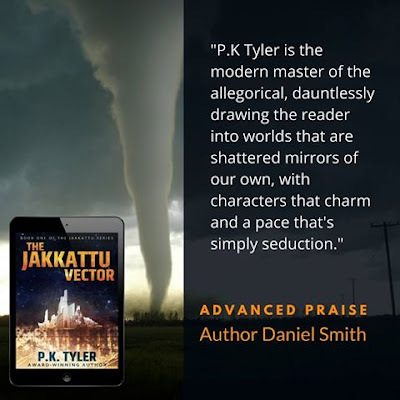 For another book by this author, please check out my blog post on OMG... I Did It Again?!. An inquisitive young girl questions her grandmother about the science behind the colors of the sun and moon. With a forward by Spencer Christian. 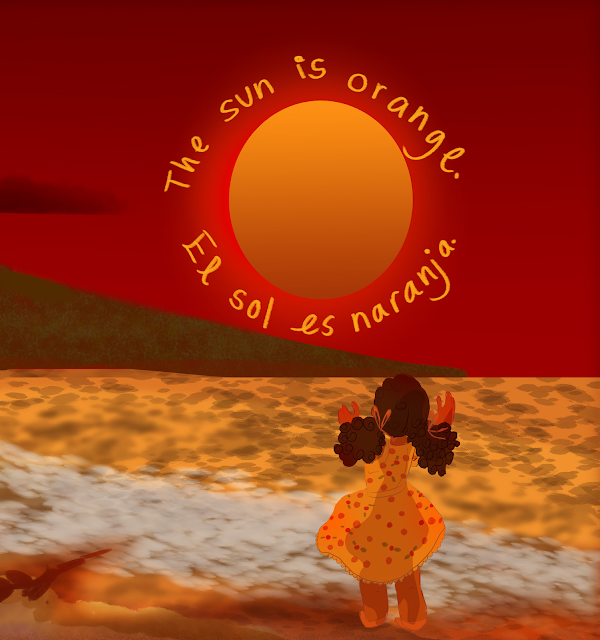 Colors of the Sun and Moon is the second book from the new multicultural, multilingual children’s press, SundanceKid Press. The mission of SundanceKid Press is to promote cultural, ethnic/racial and linguistic diversity in children’s literature. Each page includes the English text along with the Spanish translation. As a young child, I was much like the little girl in this book – intensely curious about the wonders of the natural world – asking questions such as those put forth by young Gabriela, "Why is the sky blue; why are leaves green?" My search for answers took me on a fascinating path of discovery, which eventually led me to become a national TV weather forecaster. If the child in you – or a child you know – finds the world to be a wondrous place, your path to discovery can be found in the pages of Colors of the Sun and Moon. 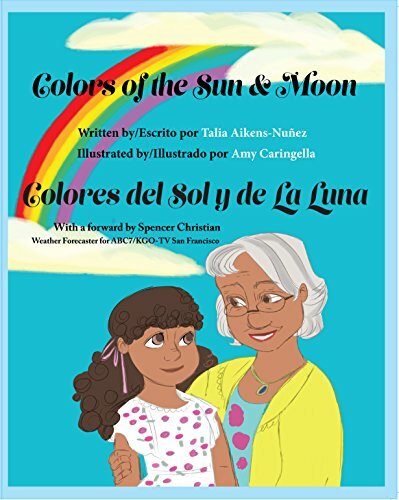 Colors of the Sun and Moon is the story of 8-year-old Gabriela and her wise and loving grandmother – a grandmother who has the answers to all of her precious granddaughter’s questions about the world of wonders they see around them. While Abuela’s answers are simple enough for a young child to understand, they are factual and scientifically sound. 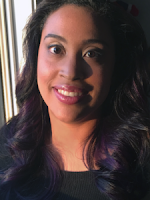 I applaud author Talia Aikens-Nuñez for giving her readers a story that is appealing on so many levels: it is educational, entertaining, and family-focused. What a rare combination of elements! As I read Colors of the Sun and Moon, images from my own childhood flashed in my mind, and I found myself smiling in amusement and amazement. I feel certain that the young reader and the not-so-young reader in your home will enjoy this book as much as I did. 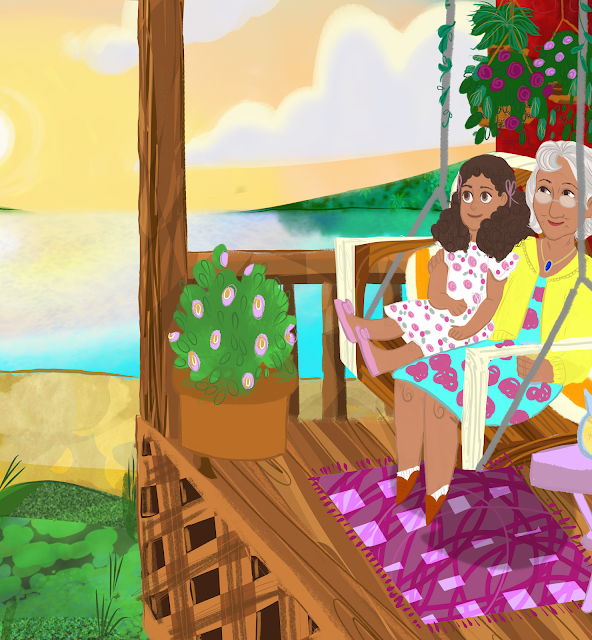 Gabriela is a curious girl who always asks her Abuela (Grandmother) many questions. Abuela always seems to know the answers. 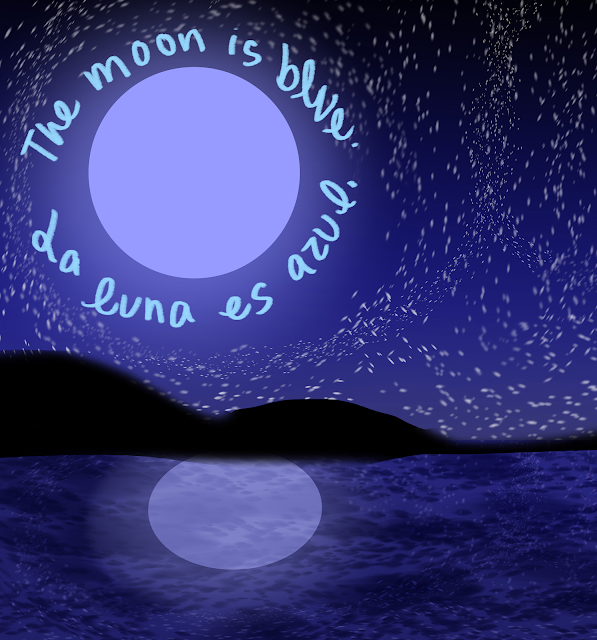 Today, Gabriela asks her about the changing colors of the sun and the moon. Of course Abuela has all the answers. The story's text is presented in both English and Spanish, providing young readers with an opportunity to learn to read the story in both languages. Other educational opportunities include teaching your child the different colors, as well as the science behind the changing colors of the sun and the moon. The illustrations by Amy Caringella are full of color and texture. The sequence of images showing the sunset and moonrise is particularly lovely. While the text is interesting, it ends abruptly, leaving the reader hoping for at least one more page. At some points in the text, Spanish is mixed in with English, which may lead to confusion. For example, Gabriela's grandmother is sometimes referred to as "Grandmother" and sometimes as "Abuela". This book could be improved by providing a summary of the facts learned in the story, as well as a list of some of the words (e.g., the colors) and their Spanish translations. 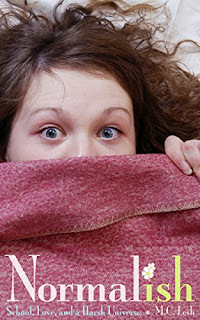 My Friends Are All Strange by Margaret Lesh is currently on tour with Xpresso Book Tours. The tour stops here today for my review, an excerpt, and a giveaway. Please be sure to visit the other tour stops as well. I’ve always been different, but lately, more so. My hands sometimes don’t seem to be attached to the rest of me. I cut up all of my clothes. I’m hot, so hot, all of the time. If I sleep, a wizard haunts every dream. I don’t sleep. Sometimes I want to run, but where do you run to when you’re trying to escape your own mind? I don’t know if I’ll ever be the same. I’m smart. I’m nice, sometimes. I just want to be normal(ish). But, right now, my friends are all strange ... Like me. 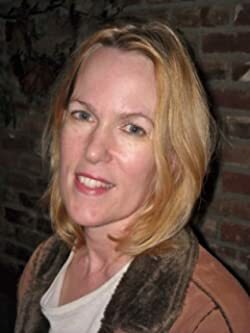 "Lesh creates characters who could be sitting in my classrooms--and I appreciate her for giving me these insights and expanding my 'looking at things through someone else's shoes' empathy. A beautiful book, both for its content and design." Becca is a high school senior who crumples under the pressure of school and the weight of her insomnia. She has always been a little off. As she herself says, "It's just one of those things. You don't know you're different for a while." But her father's death two years earlier and the absence of his reassurance has finally sent her over the edge. After an incident at school, Becca is admitted to Brookside, a psychiatric care facility, where she unexpectedly befriends some of her fellow inmates: Kat, the Hello Kitty-loving perpetual child with a tragic past; the seemingly normal Bobby, who lashes out unexpectedly; and Carrie, the germophobe. While they seem to have no real desire to leave Brookside, Becca looks forward to resuming a normal life at school and with her boyfriend Roman, who remains her staunch supporter throughout. But, just what is "normal"? This book gives us an eye-opening glimpse into the lives of the young inmates of a mental care facility. They don't all have psychiatric disorders, but are people not unlike you are or me, who are under undue stress, have made bad choices, or are the victims of circumstance. It poses the question: "Are our mind's problems sometimes an escape from the terrible, traumatic things that happen to us in real life?" Ultimately hopefully, this book is a good tool for starting a conversation about mental health with the young people in our lives. Enter the giveaway for a chance to win an ebook copy of My Friends Are All Strange by Margaret Lesh. The prize will be sent out after 21 December. 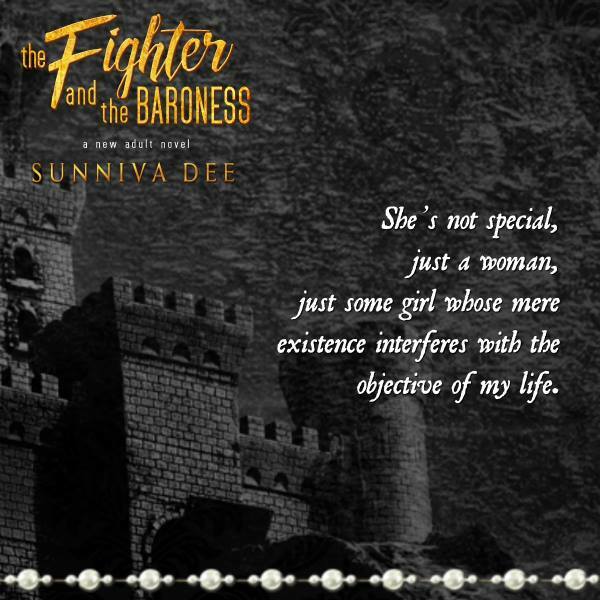 The Fighter and the Baroness by Sunniva Dee has just been released. 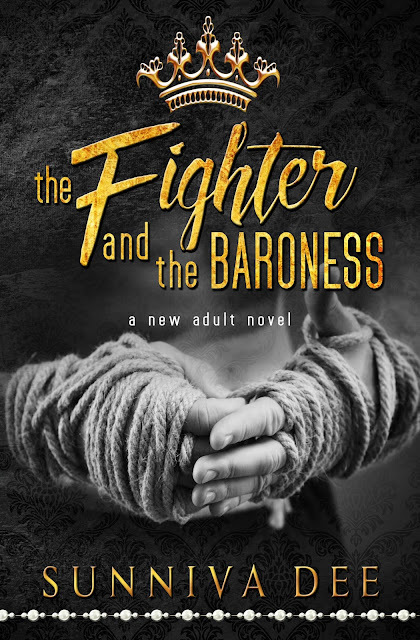 This book blitz and giveaway is brought to you by Xpresso Book Tours. For more books by this author, check out Shattering Halos (read my blog post), Leon's Way (read my blog post), Adrenaline Crush (read my blog post), Cat Love (read my blog post), Walking Heartbreak (read my blog post), Dodging Trains (read my blog post), and In the Absence of You (read my blog post). Victor Arquette knows the meaning of sacrifice. Destined to legendary status in mixed martial arts, his life is founded on it. Dedication equals sacrifice, and sacrifice means around-the-clock training, no partying, no junk food, no alcohol - and no women. 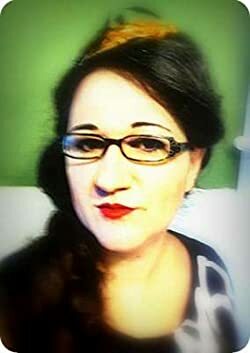 Helena von Isenlohe is the heiress to Kyria Castle. Due to her father’s lack of financial prowess, the restoration of the ancient German estate rests on Helena’s shoulders. A failed attempt leaves a wealthy man alone at the altar - and the fleeing bride on a plane to the United States. I’d rather not mull over what’s going on right now. The guys and I’ve been on a seven-day trip—five days in Munich working with a Brazilian Jiu Jitsu guru—and now I was just going to mosey on back home. Until this girl appeared out of nowhere, a wild dream in a flurry of white fluff and lace, breezing through security. Disheveled and beautiful. Fairytale features and yellow hair flowing thick down her back. But what got me were the shoes in her hand. Until I bent and realized her feet were black with crap from the airport floor. She was mad and anxious and flustered. Oh hell, I couldn’t walk away. Now we’re at another airport, and I still can’t walk away. On the flight here, I prodded more about her life than I’ve done with any girl before. It’s a risk to prod—the more you know, the more interesting they can get. I guess I am mulling over what’s going on after all. Am I taking these chances because Maiko didn’t come along? Since her angina episode, she’s been avoiding abrupt ambience changes, which in my mother’s mind equals risks. “The flight has been delayed overnight.” Keyon’s face is dark with annoyance. “All right, I’m getting a hotel,” I mutter. She’s got a pretty mouth. It widens now, in a smile. I grab my backpack, hike it up on a shoulder, and lumber toward the elevator. “I’m sorry, Ma’am. 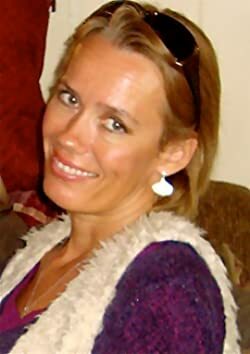 We have full occupancy tonight,” the same receptionist I spoke with tells Helena. The receptionist shakes her head, repeating that she’s sorry. Helena’s grip on the countertop loosens as she turns to me. “Oh no, you don’t.” She returns to the receptionist again, shaking her head. “I don’t want his room.” She tucks her hair behind an ear and bends to her oversized purse on the floor. “How many beds are there in three-oh-seven?” I ask the receptionist. The girl tells me there’s only one but that it’s big. Clearly, she’s onto my idea. “Can we have some extra sheets and pillows sent up, maybe a few extra towels?” I ask. “Victor, no…” From Helena’s tone she’s more surprised than against my idea. “Why not? We’ll watch films. Maybe we’ll find Cinderella,” I say, which makes her laugh. 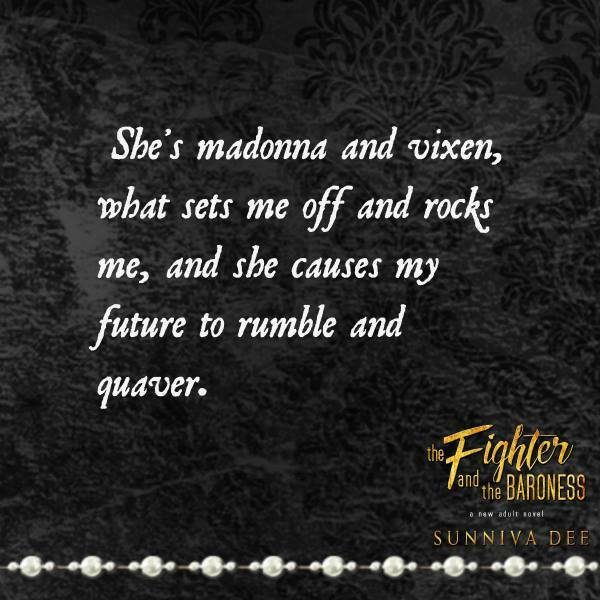 Sometimes, Sunniva writes with a paranormal twist (Shattering Halos, Stargazer, and Cat Love). At other times, it's contemporary (Pandora Wild Child, Leon's Way, Adrenaline Crush, Walking Heartbreak, Dodging Trains, and In the Absence of You). Enter the blitz-wide giveaway for a chance to win a $25 Amazon gift card. 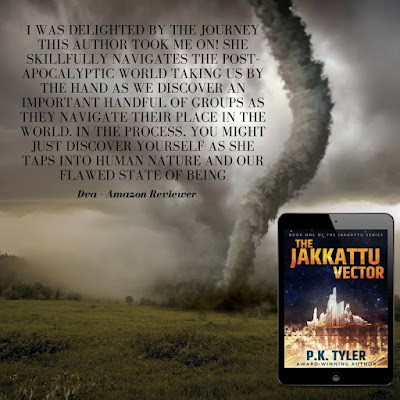 P. K. Tyler has just released The Jakkattu Vector, the first full-length novel in the Jakkattu series of sci-fi thrillers! 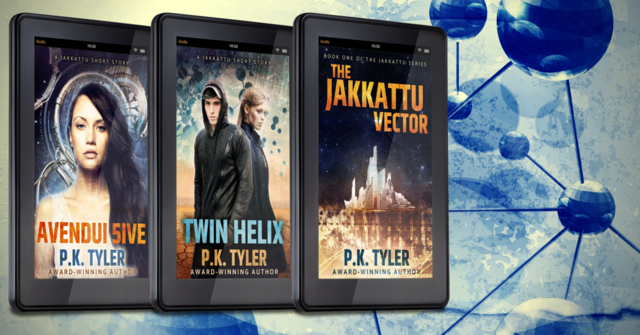 Also available for only $0.99 each: Avendui 5ive (read my blog post) and Twin Helix (ready blog post). 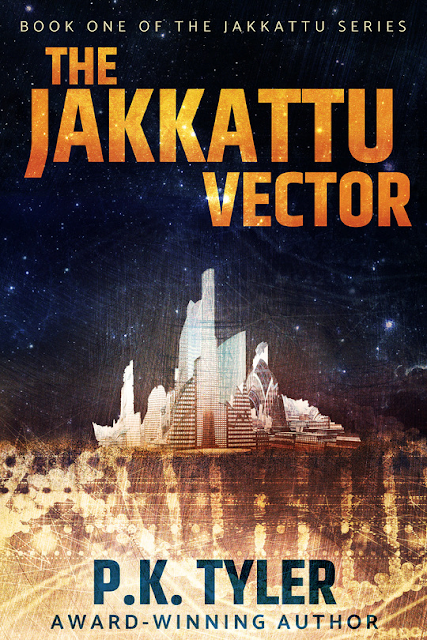 The Jakkattu Vector is currently on tour with Novel Publicity. The tour stops here today for my review, an excerpt, a short interview with the author, and a giveaway. Please make sure to visit the other tour stops as well. 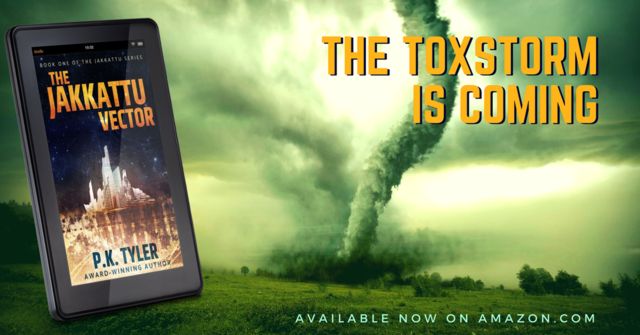 The Mezna are hailed as saviors when they come to a toxic Earth to save the human race. But what are they really after? In a world of interminable dust, toxstorms, and acid oceans, the Mezna build their hygienic terraformed cities which house the Miscegenate blue-eyed Mezna-human hybrids and the half-robot teks. Outside their cities are the Human Reservations, where the people live in poverty and squalor. And, in the Wilds in between, live the Undone, humans born with severe birth deformities and considered monsters. 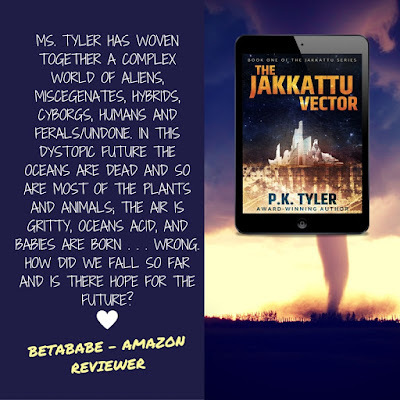 The Jakkattu Vector interweaves the stories of Sabaal, a native of the planet Jakkatta who escapes from a Mezna breeding facility, and Julip, a fifteen-year-old girl from the Greenland Human Reservation. Insignificant as they might seem, their meeting might just spark a revolution. The author continues to build the world we encountered in Avendui 5ive and Twin Helix. Here we are introduced to a matriarchal society where Jesus's mother is the supreme deity - Mother God - and where the men are uneducated and only considered good for labor and for breeding. 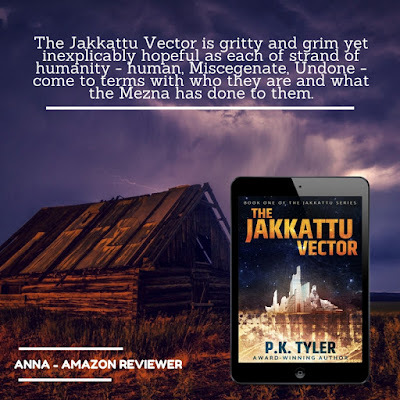 We meet interesting characters from all parts of this new world, and we follow a number of different storylines until they come together in a thrilling climax. 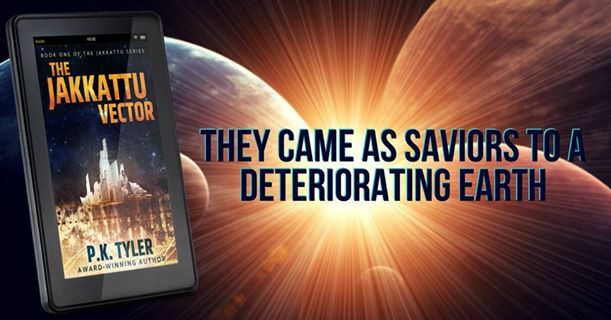 Even though the book is science fiction, its message is applicable to today's world. It is a timely warning to all humans about the consequences of continuing to treat the Earth the way we do. We are also given a heartbreaking look at how ignorance can turn people against each other, how people who are basically the same can turn on each other for being slightly different, how discrimination if often based on lies and unfounded beliefs, and how religion can be used to brainwash its followers. This is story-telling at its finest. 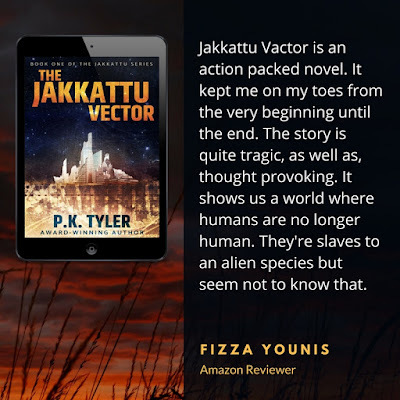 While this story is complete, I can't wait to read the next installment of this enthralling new series, The Jakkatu Insurrection. Hi Pav. You’re the head of marketing for Novel Publicity, a business woman, and an award winning author. What does a typical day work day look like for you? How do you find balance between working life, your family and everything else? Have a forgiving spouse? I don’t do everything, I can’t. It’s just not possible. Thank god for a man who loves to cook and clean! My kids are getting older now so they need less of my focus and more of my driving skills, so I do a lot of reading in the car waiting for them. I don’t know how to organize it, I kind of just do it. I’m really walking talking chaos so I’m the wrong person to give advice on this. Do you have any tips for those of us that work from home? I’d say the most important thing is to accept that you can't do it all and not only is that okay, it’s normal and good. 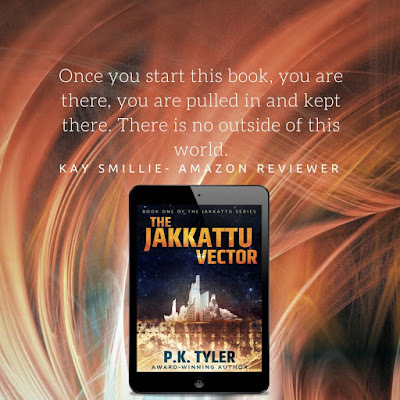 Enter the tour-wide giveaway for a chance to win a Kindle Fire, a signed paperback copy of The Jakkattu Vector by P. K. Tyler, P. K. Tyler's entire paperback collection, or a special Jakkattu bookmark.